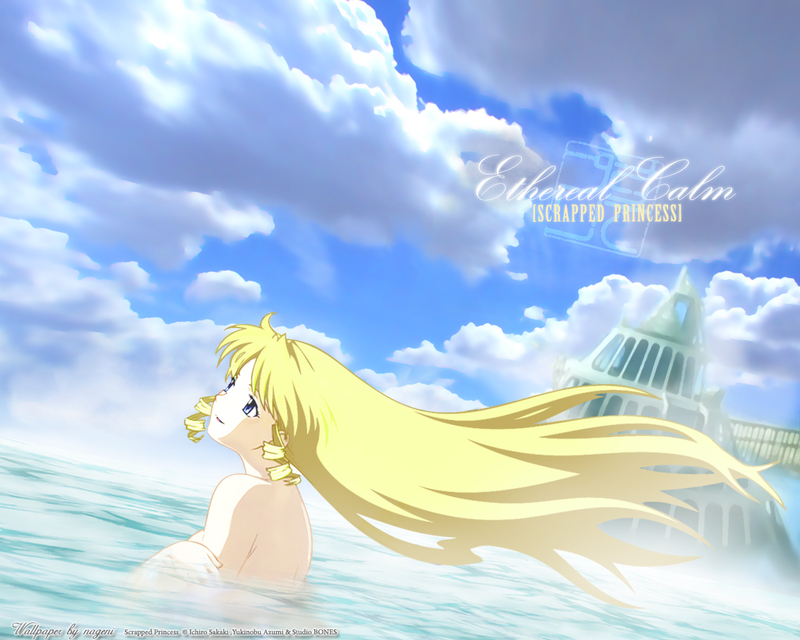 I decided to make another attempt at a wallpaper with this pacifica scan, since the last one didn\\'t turn out the way I wanted. as the title saids is a really relaxing wall, pretty nice. wonderful job. This is a great wall of Pacifica! I like the simplicity of the setting as well as the color scheme not taking away from her. Very nice! nice wallpaper, the shape of the clouds and the building in the back look good..
A beautifully calm wallpaper. I really like how the pastelness (or whatever it is called) is used throughout the wallpaper to give it a the titular feel. Best yet, it is a Scrapped Princess wallpaper! You don't see many of those! The best Scrapped Princess wallpaper I have seen! Well done! muy bueb donacion feliz new 2010.